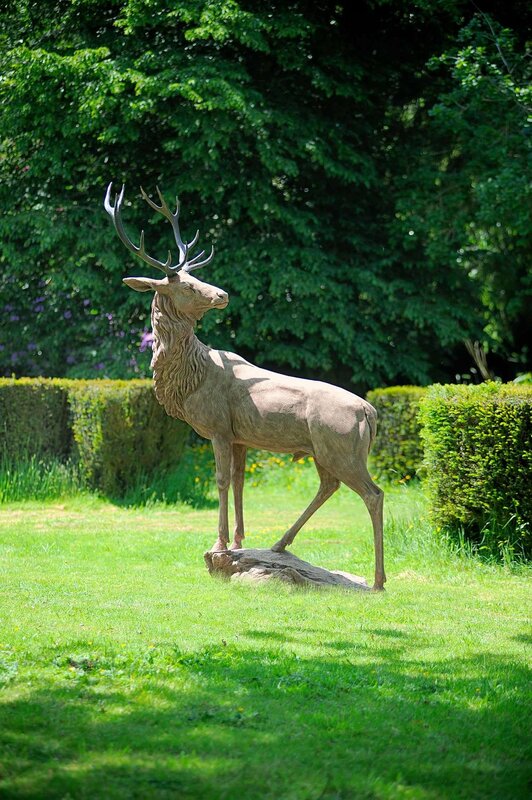 Standing on a pinnacle, its gracefully muscled body poised for flight, its head held proud and alert, crowned by magnificent antlers, this life size garden ornament by Cavendish Stone captures the majesty and beauty of Britain's largest land mammal - the red deer stag. 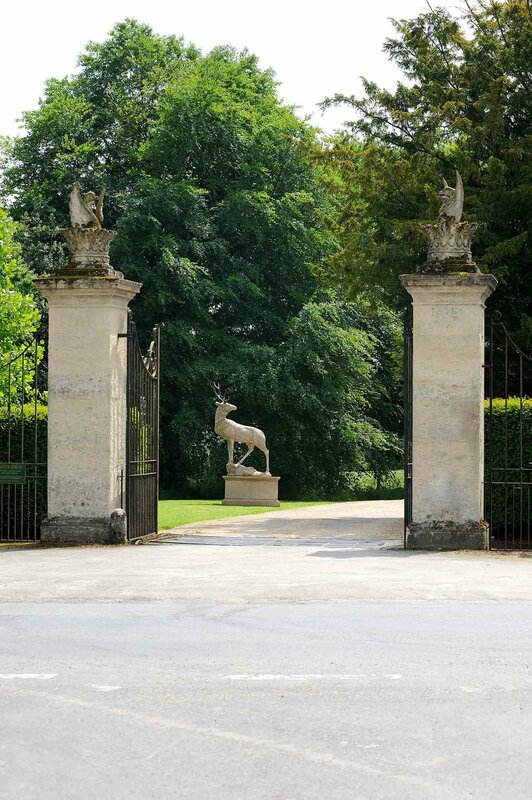 This garden statue has been faithfully sculpted in clay and then cast in antiqued composite stone to enable it to be sited in remote locations. When in place, the base is filled with ballast for stability. The base can also be buried into the ground and then filled with ballast. The antlers are made of patinated bronze resin.